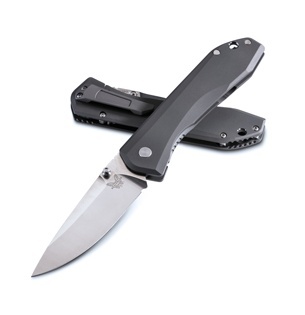 Introducing the 761 Titanium Framelock from Benchmade. This fabulous folder features a titanium handle and pocket clip with a sandblasted and oiled finish. A premium M390 steel modified utility drop point blade rides on ball bearings for super smooth performance. Open built construction with stainless steel barrel spacers.